In a new documentary, Russian journalist and television presenter Sergei Brilyov gives evidence that in August 1945, Soviet troops liberated the entire Korean peninsula, not just the North as previously thought. In late February, Sergei Brilyov, a journalist and anchor with Russia’s First Channel, presented his documentary "Pyongyang – Seoul. And Further...," which offers a revolutionary view of the liberation of the Korean peninsula at the end of World War II. "We prove that the Soviet troops liberated the whole of Korea – from the north to the south," said Marina Kim, the film’s co-host and an ethnic Korean. "And then the Americans, in agreement with Stalin, landed in the south and occupied it without firing a shot." The film features unique video footage and photos that prove, according to the authors of the film, that Soviet soldiers were welcomed as liberators. According to the film, on Aug. 8, 1945, Soviet troops opened prisons on the peninsula and released thousands of Korean political prisoners. American forces landed at Inchon only a month later, on Sept. 8. The documentary features interviews with several witnesses to the events. One of those featured in the documentary is Yury Ten, a marine who took part in landing operations during the liberation of Korea in 1945, who passed away between the time of the filming and the documentary’s release. "I was ordered to open the Chongjin prison," Ten says in the film. "Everybody cried. I said, 'I am a Korean, I opened the prison.' They hugged me and cried. And I said, 'Come out, you are free!'" Brilyov said he was inspired to research the liberation of Korea while reading the memoirs of Soviet Marshal Kirill Meretskov. In his book, Meretskov writes that during the course of the liberation operations, Soviet troops reached Seoul. "Then I decided to carry out my own investigation and make a film on this subject," Brilyov said. 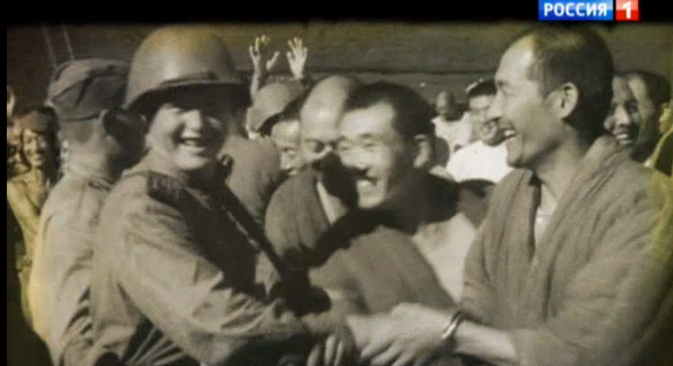 The film includes documents and interviews with surviving officers who fought in Korea that back up the claim that in August 1945, Soviet troops reached Seoul, and only after they made sure of the complete surrender of the Japanese, came back to the 38th parallel, where they waited for their American allies, as it was agreed. Briylov’s crew also interviewed several South Korean researchers and experts who refute this view and deny the participation of Soviet troops in the liberation of the South.